The Park Ridge-based developer announced Tuesday that it has named Larry Bennett as head of construction for HRP Construction LLC, a related entity that provides construction services for its pipeline of more than 1,500 units. Bennett brings more than 30 years of construction experience to the position, with a particular emphasis on multifamily building in New Jersey and New York. 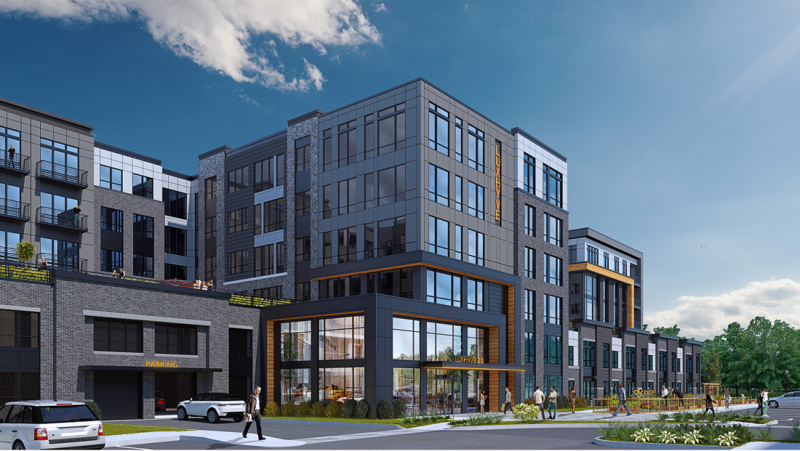 “The successful build out of Hornrock’s luxury multifamily development projects is of paramount importance to our business,” Hornrock Partner David Hornblass said. “Accomplishing this within each project’s allocated time schedule, budget and, perhaps most importantly, with the level of quality that we pride ourselves on is absolutely essential. The firm said HRP’s pipeline amounts to more than $400 million in development costs. Bennett joins the firm after more than a decade with Mill Creek Residential, formerly Trammell Crow Residential, according to a news release. In that role, he started as a senior project manager and was promoted to project executive in 2015. In recent years, Bennett oversaw and managed the construction of more than 2,000 residential units in the New Jersey and New York area, with recent projects including the Modera developments in Morristown and Parsippany and the Modera Lofts in Jersey City. Bennett previously worked for Tocci Building Corp., The Megan Group and Foster-Wheeler, the news release said. The various roles include experience in multifamily construction, public works projects and complex industrial production facilities for the energy, chemical and pharmaceutical industries. He graduated from the Worcester Polytechnic Institute in 1988 with a bachelor’s in mechanical engineering. HRP Construction also hired Andrew Devennie as head of preconstruction and estimating, the news release said. He joins HRP from Hollister Construction Services, where he worked as a senior estimator and preconstruction project manager since 2013. Devennie is a trained architect and has experience as a designer and builder, all of which are in addition to his experience as an estimator and senior preconstruction project executive across several construction verticals, the news release said. Hornrock touted his relationships with a subcontractor base of over 2,000 professional vendors in the New Jersey and New York area. He is also an associate member of the American Institute of Architects’ Newark chapter and is scheduled for full professional architectural licensure in New York State by July 2019, the news release said. Devennie graduated from Temple University in 2003 with a B.A. in architecture.